A raccoon in search of a sweet treat in a Farmingdale yard got a little more than it bargained for Sunday. 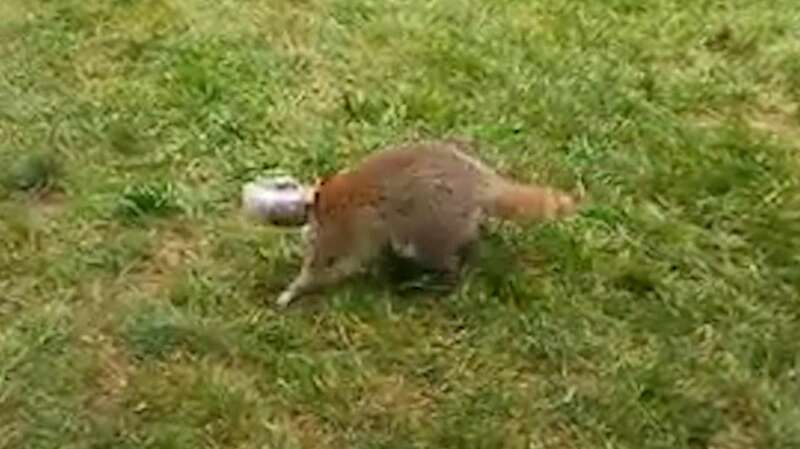 The critter got its head stuck in a jar of Skippy peanut butter while scavenging for food, according to Bobby Horvath, a licensed wildlife rehabilitator in Massapequa. The raccoon was spotted blindly racing around a backyard Sunday by a homeowner who contacted Horvath and his wife, Cathy Horvath, who also is a wildlife rehabilitator, he said. When they arrived at the home, they spotted the raccoon hiding in some bushes. Horvath held the animal down while his wife poured cooking oil on the raccoon’s neck and slowly twisted off the jar. The animal appeared healthy and scampered away after it was freed, said Horvath, who added that it wasn’t the first time he and his wife have been called to save a skunk or raccoon with its head caught in a jar.